Alert Ban Garda stops Ram Raid on Garda HQ by unmarked jeep from the North with gunmen inside - Drew Harris gets a knock on the Head. - that turned out to be all too true! For a Garda Commissioner to bring armed men across the Border who are not authorised to carry weapons in this State and to arrive unannounced at Garda HQ is by any standards a serious breach of Operational Procedure. The Ban Garda on duty is to be commended for her quick thinking and having her finger literally on the button! If the article and incident is true and accurate then Harris is still being paid and instructed by Her Majesty’s Govt of the UK and Northern Ireland. He was officially ferried south at the expense of the UK taxpayer which strongly indicates that he works as a spy. of some kind. It is a resigning matter. But in this mucked up State? - that turned our to be all too true! "In a time of universal deceit, telling the truth is a revolutionary act". Orwell. An Garda Siochana and the Irish people need a commissioner who is paid by the Irish govt. The UK taxpayer will also want to know why his sterling taxes are paid to officially ferry the chief police officer of a foreign country around while working in that foreign country. I think he should be excommunicated for formal heresy etc etc etc. ...scuttling across the floors of silent seas. 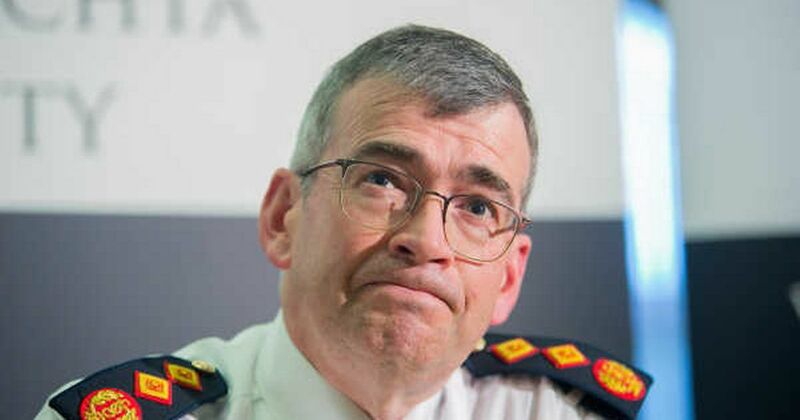 Do you think it acceptable that UK taxpayers now directly finance the work of the Irish Garda Commissioner? There really should be questions asked as to why a PSNI vehicle is driving around Dublin. The problem however is that there is no independent Journalists among the Irish MSM to ask these questions, no doubt RTE and The Irish Times etc will see their job as pointing another direction saying "look over there" to avoid this alarming development getting the scrutiny it would in a functioning democracy with a correctly operating Fourth Estate. What proof have you got for that inference, pal?